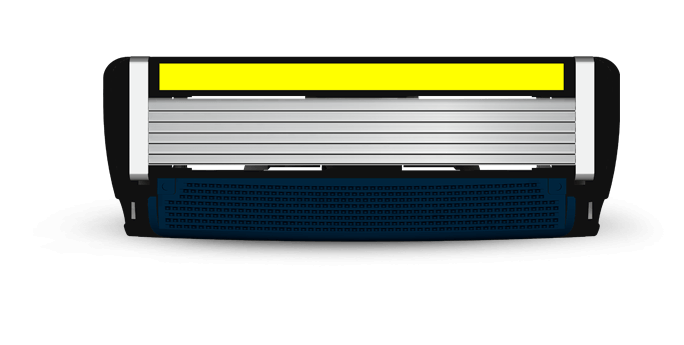 A closer glimpse at our best shave ever. Our focus has always been our high-quality, fair prices and customer satisfaction. 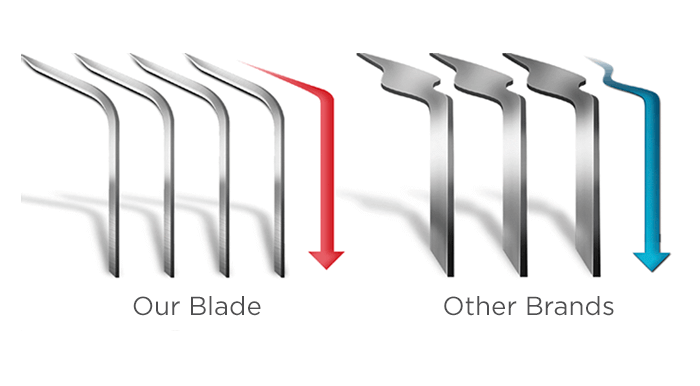 We’re proud to continue that tradition with every generation of our blades and handles. 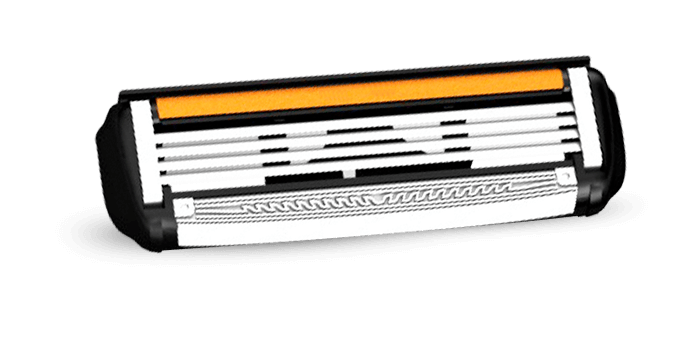 It has 6 sharp blades with wide comfort guard evenly distributes pressure over the skin ensuring an effortless shave. 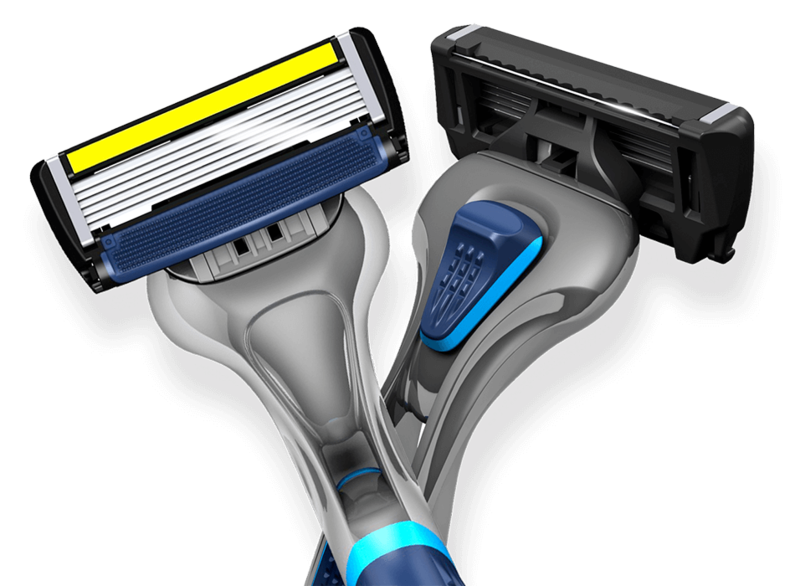 It has a lubricating strip for a smooth shave. 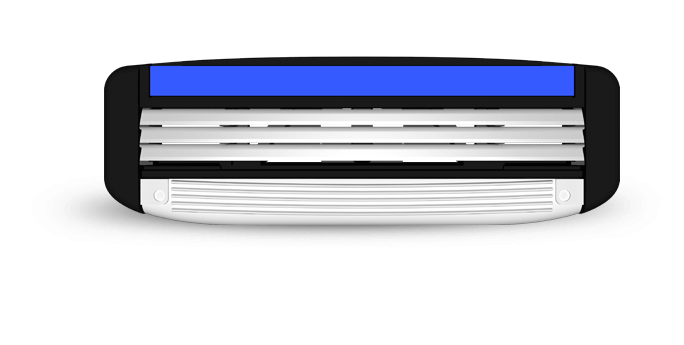 The special Trimmer blade at the top of the cartridge makes it easy to trim your sideburns, mustache and hard-to-reach places like under your nose. 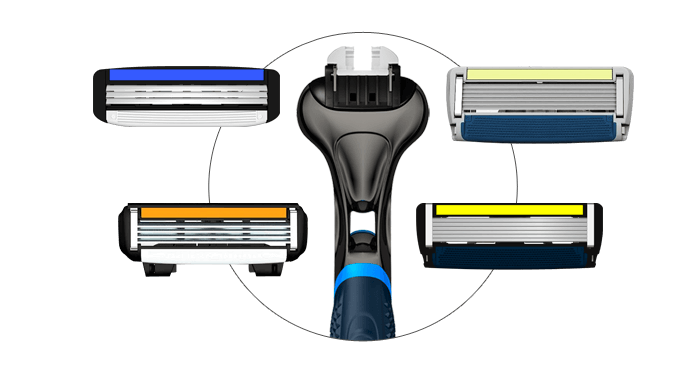 Pace 3 is an advanced Shaving Technology with 3 blades that gently glide over your face for ultimate comfort while you shave. A trusted brand in over 130 countries, now in India. 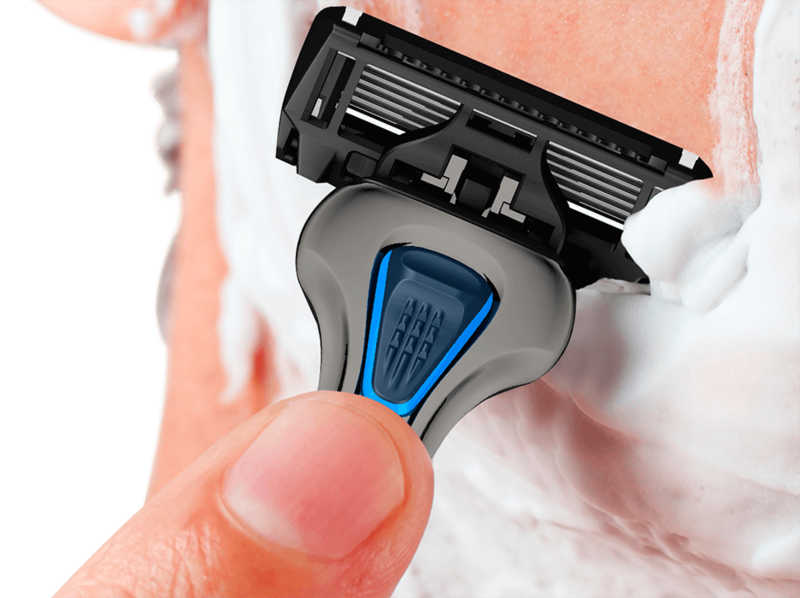 4-Blades Razor with Anti-Clogging technology has wide gap between the blades, pivot head, a comfort guard and an enhanced moisturizing band allows an incredible smooth shave. A trusted brand in over 130 countries, now in India. 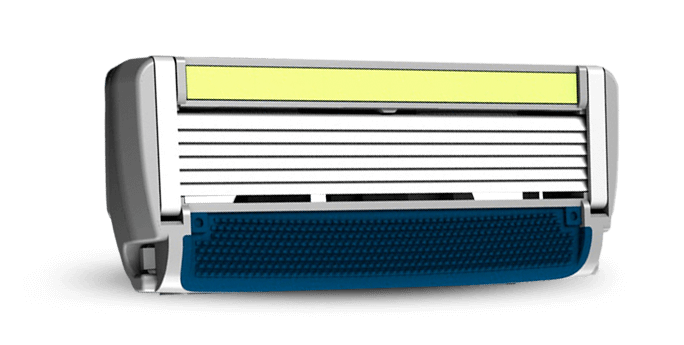 World's first 6-Blades Razor with trimmer edge on the back of the blade for accurate trimming and shaving the hard to reach areas.A trusted brand in over 130 countries, now in India. 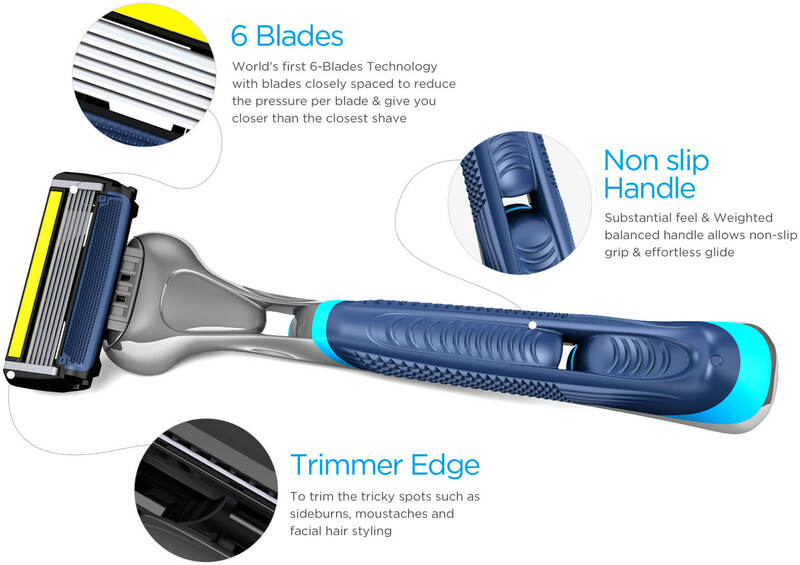 World's first 6-Blades Razor has a smaller gap between the blades allowing the closer than the closest shave; with trimmer edge to shave & trim hard to reach areas of face. A trusted brand in over 130 countries, now in India.